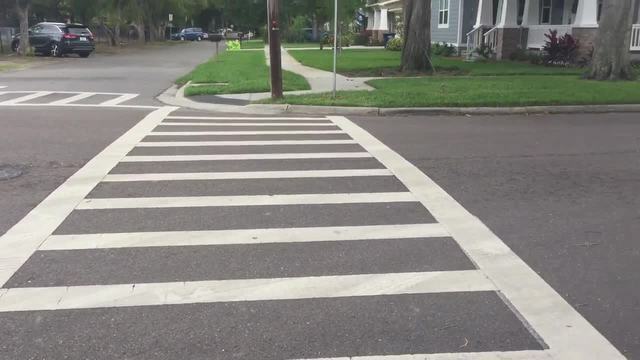 Streets near a school in one South Tampa neighborhood are now safer after the community pushed for changes, parents told ABC Action News. Earlier this school year, the streets around Roosevelt Elementary had faded crosswalks and no signage indicating a school zone. In a very busy area, with more than 200 cars during pick up and drop off, it was unsafe for kids to walk, parents said. 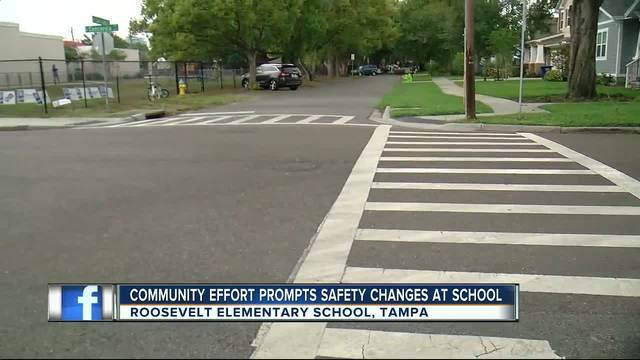 The Sidewalk Stompers was founded in 2016 with the goal of promoting a healthy, pedestrian-friendly, and safe community for student walkers in Tampa, said Emily Hinsdale, founder of Sidewalk Stompers at Roosevelt Elementary. Sidewalk Stompers went to City of Tampa engineers as well as school district transportation leaders. They said after showing higher numbers of pedestrians around the school, city safety engineers installed new crosswalks and safety signage around the school. The Lightning honored the school's efforts to promote sidewalk and pedestrian safety on Wednesday. They continue to meet with county and city officials to plan future infrastructure improvements, Hinsdale said. We began with a few small Walk to School Wednesday events at Roosevelt Elementary School, offering small raffle prizes donated by area business for students who chose to walk to school on these mornings, Hinsdale said. Now, record numbers of students are walking to school with 83 students walked to school at their first event, according to Sidewalk Stompers. Our most recent event, May 17th, garnered over 200 participants, Hinsdale said.